given a written order to leave the country within 30 days. conditions and services provided in the detention centers. migrants told MSF teams about their experiences in detention. expressed anxiety and worry about family members they had left behind. unbearable or because they wanted to protest about the length of detention. detention facilities. Sanitary conditions are usually very poor. infections such as scabies and viral infections such as measles. communication, which increased feelings of anxiety and insecurity. behavior of police and other detention center staff. disabilities. Detention centers lack support staff and interpreters. are not identified and thus do not receive any support. ANA-MPA/All indicators concerning illegal immigration into the European Union were lower in 2009 compared with 2008, according to figures cited on Wednesday by the EU border agency Frontex in Athens. It said arrests for illegal entry at EU sea and land borders had dropped 33 percent. Frontex Deputy Executive Director Gil Arias-Fernandez noted, however, that 88 percent of illegal immigrants – almost nine in 10 – that entered the EU in 2009 had come via Greece, up from 75 percent in 2008. While this increase did not reflect a rise in the numbers arriving, it showed that a greater percentage migrants unable to enter the EU using other routes were attempting entry via Greece, he said. During the first third of 2010, EU authorities arrested 3,500 illegal migrants at land borders and 2,900 at sea, indicating a shift in patterns of entry from the sea to the land borders. This shift was also reflected in figures unveiled by the Greek citizens’ protection ministry last week, showing a 50 percent decline in arrests of migrants in the northern Aegean and and 65 percent decline in the southern Aegean. By contrast, arrests on land borders in Eastern Macedonia and Thrace increased by 167 percent (from 2,416 to 6,459). 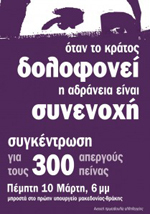 In Epirus, arrests went up from 5,616 in the first third of 2009 to 7,889 in 2010. The number of migrants caught entering the EU illegally has dropped sharply, a change attributed to the economic crisis and stricter border controls. Some 106,200 illegal immigrants were intercepted on EU borders in 2009, 33% down from the previous year, the EU border agency Frontex said. Greece remains the principal point of entry for illegal immigration, Frontex officials said. Albanians form the main group of immigrants trying to enter Greece. Most others come from North Africa, and attempt to get into Greece via Turkey, said Frontex deputy executive director Gil Arias Fernandez. Lack of employment was a key factor for the drop in numbers, he said. He also cited “good collaboration from the African countries where immigrants usually depart” including Libya, Mauritania and Senegal. Mr Arias said most of the people entering Greece planned to continue to other EU member states. He denied reports that the EU had any imminent plans to use unmanned drone aircraft to monitor the border between Greece and Turkey. 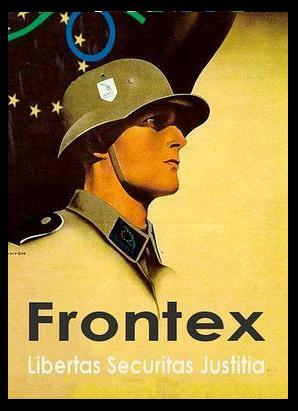 “We are following developments in the industry to see if they can be used, but at this point it is premature to say that Frontex plans to use them,” he said. (Reuters) – Economic crisis and tougher border controls are leading to a sharp decrease in illegal immigration into the European Union, the bloc’s border agency Frontex said on Wednesday. A total 106,200 illegal immigrants were detected at the EU’s sea and land borders in 2009, 33 percent less than in the previous year, the agency’s Deputy Executive Director Gil Arias-Fernandez told a news conference. “Lack of employment is a key factor for the drop,” Arias-Fernandez said. Measures taken by Libya, Mauritania and Senegal to prevent illegal immigrants from departing in the first place have also helped stem the flow, he added. Almost nine out of ten illegal immigrants use Greece as their springboard into the EU. A total 6,600 illegal border crossings were detected in the country in the first quarter of 2010, 7 percent less than in the same period last year. 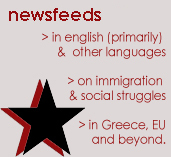 “Most of the people entering Greece plan to continue their trip to other EU member states,” Arias-Fernandez said. Greece is struggling to cope with the swelling number of migrants, most arriving via Albania and Turkey, who seek a better life in Europe. Frontex has stepped up surveillance at the Greek-Turkish borders but denied press reports it had any immediate plans to use unmanned aircraft, also known as drones. “We are following developments in the industry to see if they can be used, but at this point it is premature to say that Frontex plans to use them,” Arias-Fernandez said. The EU has long tried in vain to convince Turkey, which aspires to become a member, to do more to control departures from its Western coast towards Greece. Greece itself came under criticism over migration, with human rights organisations saying it abusively detains and expels migrants. Greece’s socialist government has pledged to crack down on illegal immigration while at the same time granting citizenship to all immigrant children born in the country. Due to the crisis, not all of these plans are definitive. Last year the hunger strikes in Pagani led to the noborder starting several days early, which came as a surprise and had us change the entire programme. This time, we know that we need to act according to the developments: struggles don’t usually follow a programme. We will start our journey and will see, what it brings. We invite all those that bring the readiness to act spontaneaously.